With an army of days reflected through the haze, wisdom will accumulate. Since forming in 2007, The Revivalists have rightfully earned their reputation as the next breakout band from the music capital of New Orleans. The group’s blend of soulful, syncopated rock and earnest songwriting comes to life through meticulously crafted and ever-evolving live performances. The formation of The Revivalists was all about chance, but everything since then has been a combination of hard work, awesome music and friendship. The septet has been playing nonstop since then, crafting a genre-hopping sound that rounds out traditional rock instrumentation with horns and pedal steel guitar and mixes the divergent backgrounds of its individual members with the humid, funky undercurrents of their New Orleans home. The result is like English spoken with an exotic accent: familiar, yet difficult to pin down. Religion aside, a revival is all about the tangible electricity that can only be created when enough like minds are crammed under a single roof for a singular purpose. It’s a spiritual spectacle, a carnival of the divine, a whole greater than the sum of its parts. The same could be said for The Revivalists’ searing live performances. The band has a knack for bringing music to life on a stage, and they have tuned those talents to Swiss-watch precision over years of relentless touring. Their bombastic showmanship is the outgrowth of a desire to connect with audiences on a personal level, and that intimate connection is what elevates their shows above simple entertainment. The band began by an instance of pure chance, when guitarist Zack Feinberg rode his bike down Birch Street in New Orleans and heard singer David Shaw singing on his porch. The duo started playing together along with drummer Andrew Campanelli who Zack had met during jam sessions at the legendary New Orleans venue Tipitina's Sunday Music workshops. Fueling the rhythm section, Campanelli’s college friend, George Gekas, became the bassist. Feinberg later invited saxophonist Rob Ingraham, the two realizing their incontestable dynamic while taking music classes at Tulane University. After a fortuitous meeting at French Quarter Fest, Ed Williams joined on the pedal steel guitar. The newest addition to The Revivalists’ cross-generational rocking goodness comes from multi-instrumentalist Michael Girardot. Having played sporadically with the band since 2009, he has grown into an integral part of their live show. The Revivalists’ 2008 self-titled debut EP was an “Editor’s Pick” for both the Jam Band and American Traditional Rock on CDBaby.com. The young band was privileged to record under the guidance of Grammy Award-winning engineer/producer Chris Finney (Dr. John, Gov’t Mule, Harry Connick Jr.). Songs off the album were featured on MTV, Paste Magazine‘s Music Sampler and on American Airline’ in flight program to name a few. Their first full-length album, Vital Signs quickly became the top-selling album on CDBaby in the American Rock category. In 2011 they were named “Best Emerging Artist” at Gambit Magazine’s Big Easy Awards, and were nominated for Best Rock Act in 2012. 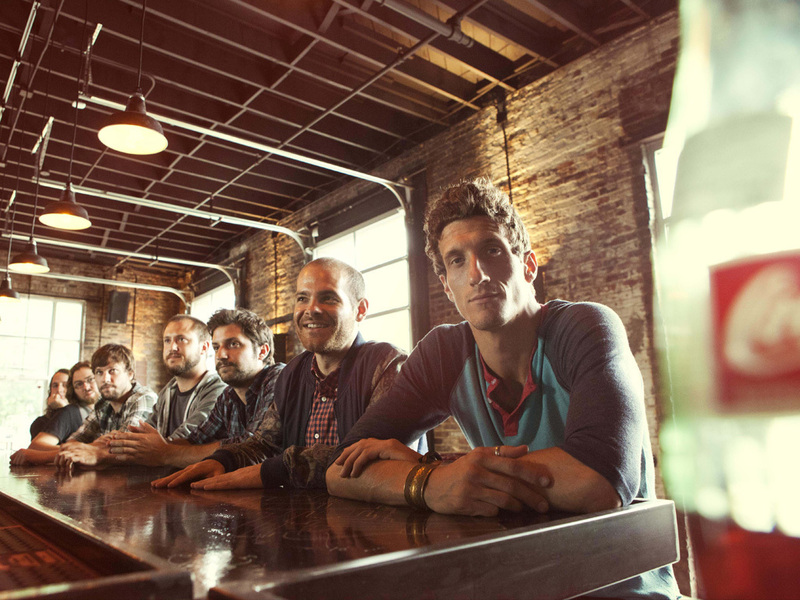 The Revivalists incessantly tour on the national level, often times supporting giants like Rebirth Brass Band and Galactic. They’re also proud to have opened for notable acts Dr. John, Gov’t Mule, JJ Grey & Mofro, and Trombone Shorty. The Revivalists have spent the last few years touring all over the country, playing countless sold out shows from California to New York and places in between. 2013 had the band making multiple cross country tours and have established themselves as an engaging festival act, gaining notoriety on the main stages of Governors Ball, Mountain Jam, Voodoo Fest and Harvest The Music Festival. They also had key slots and performances at Hangout Music Festival, The Kennedy Center Millennium Stage Series, DeLuna Fest, SXSW, CMJ, and the legendary New Orleans Jazz and Heritage Festival and many more. They ended 2013 being featured in the fourth and final season of HBO’s acclaimed drama series “Treme” in an episode called “Sunset on Louisianne” which aired on December 22, 2013. In the episode the band performs “Concrete (Fish Out Of Water)” off their 2008 self-titled EP at the Always Lounge in NOLA where Davis McAlary (played by Steve Zahn), a part-time DJ, aspiring songwriter and music scenester goes to see them perform. The band’s current album, City of Sound, will be re-issued through Wind-up Records on, appropriately, Fat Tuesday - March 4, 2014. The album was produced by Ben Ellman (Galactic,Trombone Shorty, Gypsyphonic Dysko) and includes eight bonus live tracks. True to their name, The Revivalists lean more heavily on the older styles and warmer sounds of the golden age of rock ‘n roll, but the band isn’t afraid to dabble in electronics and sleight-of-studio when it’s right for the song. The group tends not to bother with questions like “does this sound like us?” or “does this fit with our other stuff?”, instead allowing songs to define themselves and take shape organically, each on its own terms. Is this a dark, heavy rock manifesto driven by a steel guitar line that borders on electronica, or is it an airy, acoustic story about star-crossed lovers, rich in vocal harmony and sparsely arranged until the coda? This one’s funky, that one’s sweet, this one’s heavy…. To The Revivalists, it doesn’t matter. They just write songs that they want to play. They’ll be playing several dates throughout 2014 including major festivals such as Wakarus, Counterpoint Fest, Joshua Tree, Tortuga Fest, AURA Music & Arts Festival, Jazzfest and Blackstock Music Festival among others. They are currently in the studio recording a new album which will be out on Wind-up Records late 2014.